As proud proponents of the Arts and the local community g2 were proud to sponsor local artist Jeramie Scahill and his work “Plumb Bob” in the recent New Year, New Work exhibition at Coffs Harbour Regional Gallery. Jeramie’s work utilizes the ancient Japanese method of Shou Sugi Ban which involves burning wood to bring out the natural grain and texture. Ann and Alan from g2 architects were pleased to attend the opening night of the New Year, New Work exhibition last Friday the 1st February which proved to be a fantastic and vibrant event. 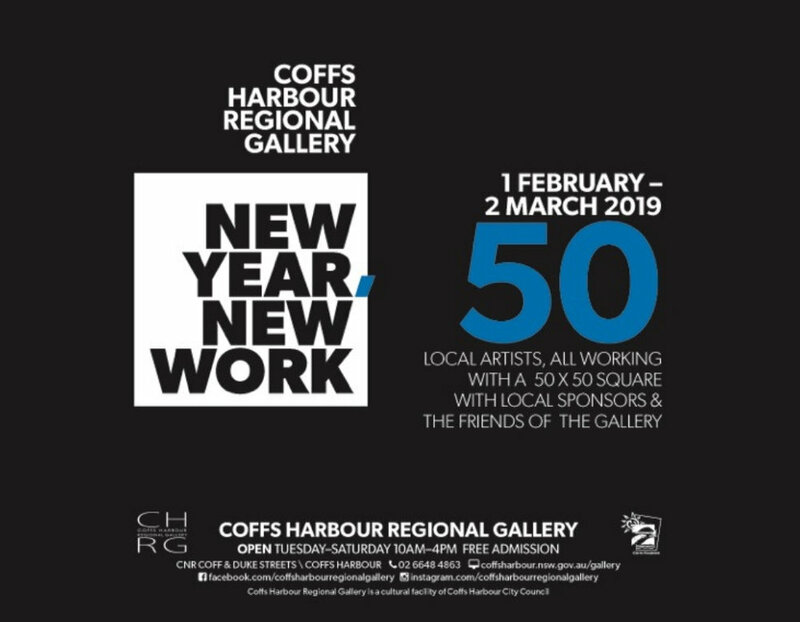 The exhibition including Jeramie’s “Plumb Bob” will be open at the Coffs Harbour Regional Gallery until the 2nd March 2019.
g2 hopes many members of the Coffs Harbour community will have an opportunity to enjoy the works.